Slimming is a bit outside my area of expertise as a cosmetic scientist, but a product that could slim in a selective area does sound very appealing. What could do this? The xanthine family of chemicals springs straight the scientist’s mind – the best known of which is caffeine. This can be shown to increase blood circulation and to tighten the skin. As coffee drinkers will confirm it makes you more active which will increase your rate of metabolism. 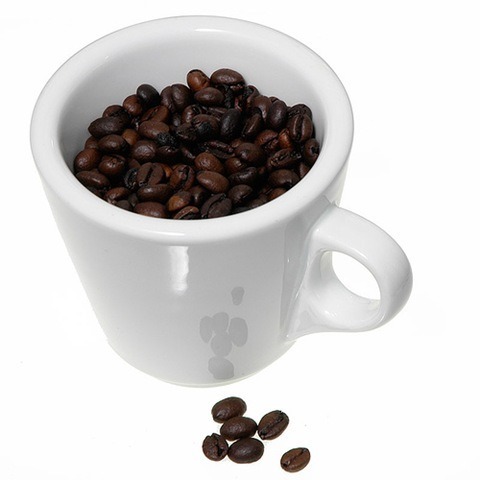 Biochemists have worked out that caffeine is metabolised to paraxanthine. This stimulates lipolysis – the process in the body that breaks down fat. This all sounds interesting and potentially useful. Caffeine is almost completely metabolised, with a half life of 4 hours (i.e., if you take a gram of it, 4 hours later only half a gram is left) and papers showing that oral caffeine can be associated with weight loss in rats and to some extent in humans. So we have a link between weight loss and caffeine, it is a molecule that can be shown to penetrate the skin and so in principle there is a possibility that it could be used to promote local weight loss and therefore allow you to achieve the shape you desire. The only drawback is that because it is small enough to penetrate the skin easily it can also be carried away from the sight of action quickly. But can caffeine selectively reduce fat deposits and give you a better shape? It seems a bit far-fetched to me personally. Although caffeine is small enough to get across the skin and does have the right properties to work – I would have thought that the systemic circulation would dilute so quickly that any effect would be so temporary as to be almost non-existent. And I have never seen any supporting published data. I have seen some unpublished data which is fairly promising, with reductions of thigh diameter or about an inch on some people. But unpublished data won’t have been checked as thoroughly as published data. And even then, if you are relying on one study there is always the chance that the results are a fluke. My personal verdict – I don’t think slimming products on the market at the moment work very well and I suggest you save your money and give them a miss. But they might work, particularly if they contain caffeine. If you don’t mind a gamble they might be worth a try. There are quite a few slimming products on the market with options from the big names like L’Oreal and Nivea. One product that has been mentioned to me is Vichy Lipometric. I haven’t tried this or even been able to get hold of a pack to look at the ingredient listing yet. However I have looked at the website and I am not impressed by the science they are quoting. They mention a couple of impressive sounding chemicals, neither of which I have ever heard of despite working in this field for 25 years. This doesn’t necessarily mean it isn’t a good product – but I cannot recommend it. If anyone has any direct experience please let me know. L’Oreal Dermo Expertise is one of a number of L’Oreal products that contain caffeine, and so might do something. Nivea Body Good-bye Cellulite Patches contain L-Carnitine. The same case that can be made for caffeine can also be made for L-Carnitine – i.e., it may work but it isn’t very likely. I can’t find an ingredient listing for this product on the net but I have a feeling it contains caffeine as well anyway. (If anyone knows please let me know).